It’s easy to use One Globe Kids in any classroom. We’ll tell you how in five short steps! One Globe Kids is a virtual library of nonfiction stories about real children around the world. Students learn about life around the world while building their self-confidence and motivation to make new friends. 2. Login to your One Globe Kids Educator account on a computer – When you’re logged in, you can access the One Globe Kids stories, the K-2 Global Friendship Curriculum, and tons of great extras! 3. Choose a friend to visit – You can meet new friends with your class in Africa, Asia, Europe, North America and the Caribbean. Each friend’s unique, non-fiction story is filled with photos. 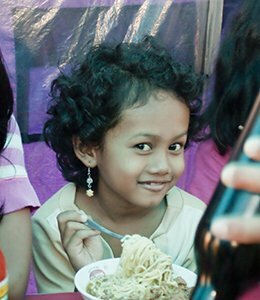 Visit Valdo in Haiti or Larasati in Indonesia for free on your computer with your online registration or on your iPhone or iPad when you download the free One Globe Kids iOS app. Hi! My name is Valdo and I live on the island of Haiti. I hope you visit me today. We can ride a tap-tap to school together. Tomorrow it will be the weekend and there are always nice things to do. 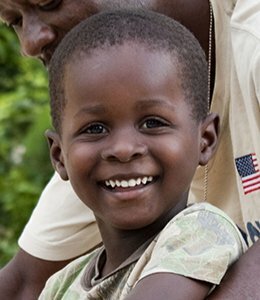 Hope to see you soon in Haiti! Hi, I’m Larasati from Indonesia! I hope you will visit me today. My friends and I love to play outside. You can come with us to our school and on a special outing in the city. See you soon! When you register as an Educator Advocate or purchase the complete One Globe Kids-All Friends iOS app, you can choose from a much broader range of friends and countries to visit. 4. Explore the friend’s story together online or via app – There are two ways to read each story: a) Sign in online and share the stories with your students via a smart-board or computer; b) Read stories using an iPad and the One Globe Kids app. Through the stories, students will learn to recognize what they have in common with other children around the world and practice valuable global skills. 5. Use the free ELA K-2 curriculum to expand learning – The free Global Friendship Curriculum teaches English Language Arts skills using the One Globe Kids stories. You can download the curriculum for your grade (kindergarten, 1st or 2nd) for free when you’re logged in as an Educator. 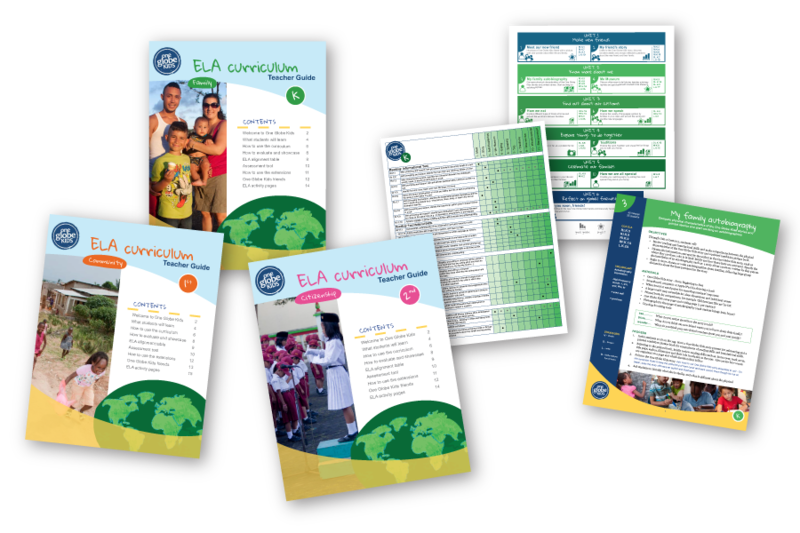 Each grade includes 11 global lessons that cover common core standards for reading comprehension, writing, listening and speaking and language. 6. Promote Global Friendship – One Globe Kids uses a research-backed and tested way to help children feel happy and safe interacting with diverse peers. The free curriculum strategically helps children prepare for diverse friendship through its Global Friendship Goals. Students learn global knowledge, culturally-open attitudes, contact skills and prosocial behaviors (such as sharing, trusting, and helping). If you’re ready to bring the world into your classroom, login or sign up for a free One Globe Kids Educator account today! You’ll have instant access to the nonfiction stories of Valdo in Haiti and Larasati in Indonesia AND the full Global Friendship Curriculum. And the best part – your students will learn in-depth about the world from real children their age!